Late last year, the Australian-based HEARing Cooperative Research Centre (HEARing CRC) launched HEARsmart™ – a new initiative to promote smarter hearing habits to reducing preventable noise-induced hearing loss associated with loud leisure noise. According to The World Health Organisation (WHO), hearing loss now affects an estimated 360 million people worldwide, making it the most common global sensory disability. WHO’s recent international campaign “Make Listening Safe” stresses that many of these individuals could have avoided hearing loss by adopting healthier hearing habits. 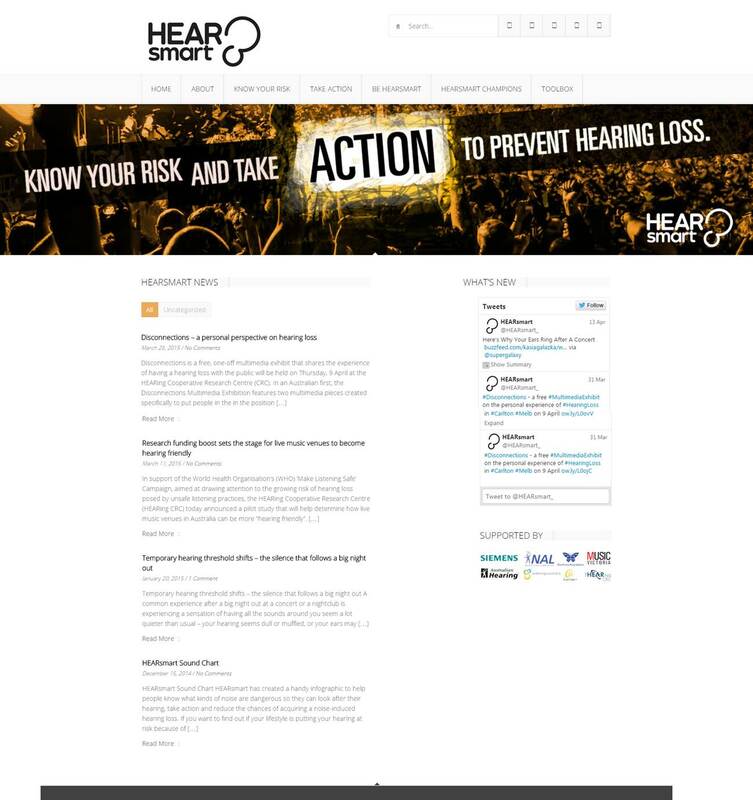 HEARsmart is a broad initiative that targets research and promotional campaigns at specific groups engaged in high-risk behaviours, as well as venues and legislative authorities involved in creating or regulating environments where excessive leisure noise occurs. 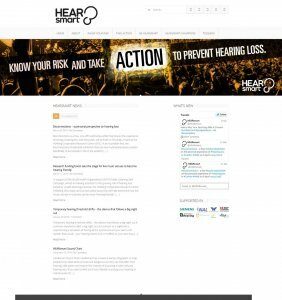 Through HEARsmart, the HEARing CRC is working closely with other organisations active in the hearing and music industry arena such as Australian Hearing, the National Acoustic Laboratories (NAL), the Australian Deafness Foundation, The Deafness Forum Australia, Vic Deaf and Music Victoria. Using an evidence base from HEARing CRC research for guidance, HEARsmart is targeting the groups most at risk of acquiring a noise-induced hearing loss and/or tinnitus in the longer term. HEARing CRC chief executive officer, Professor Bob Cowan said it’s a fact of life that young people in particular develop a keen interest in music. This can result in a much higher risk of acquiring a hearing loss through prolonged exposure to amplified sound, while playing instruments or listening to music at home, at gigs and at nightclubs, whether for work or for pleasure. “Our aim is to develop and provide practical and proven solutions to help individuals and organisations alike to be aware of the risks and to protect their hearing, or the hearing of others, and make listening safe as well as enjoyable for all,” Professor Cowan explained. an online noise risk calculator that enables users to discover their personal risk of developing hearing loss as a consequence of their current listening habits, such as going to nightclubs, music concerts or after using personal music devices. The calculator was developed by researchers at NAL to estimate noise exposure risk based on lifestyle habits and to offer simple suggestions on how to optimally manage these risks. Dr. Elizabeth Beach, a principal NAL researcher whose work has influenced the development of HEARsmart, explained that when assessing the risk of hearing loss risk from loud music, it is important to consider the duration as well as intensity of sound. This is especially relevant for clubbers, as they typically spend a long time at clubs, somewhere between four and seven hours per night. To put this into a wider perspective: the average noise level of a nightclub = 98 decibels; the average time spent in a night club = 5 hours; this level of noise exposure is equivalent to 12 times the daily limit allowed in Australian workplaces! Such exposure over an extended period of time can of course make a significant contribution to the development of a hearing loss or tinnitus in the future. “One of the key learnings to come from the Know Your Noise Campaign was our ability to successfully engage our target audience by using various different but complementary approaches. Getting our messages out through traditional media, social media and websites that young people hold in high regard, can create an ongoing awareness that we hope, given time, will result in a change in attitude and behaviour around loud sound,” Dr. Beach explained. The HEARing CRC recently announced a second HEARsmart campaign, co-funded by the Deafness Foundation of Victoria – a pilot study that will help determine how live music venues in Australia can become more “hearing friendly.” The study will work with a small number of live music venues to develop practical and cost-effective solutions to help reduce noise exposure for musicians, patrons and venue staff while maintaining or improving the fidelity of the music being heard. 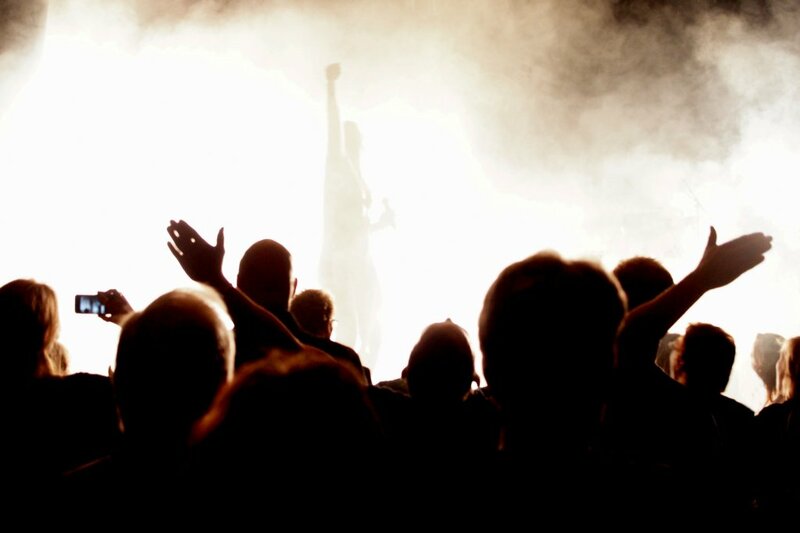 The HEARsmart pilot project has the support of Music Victoria who, together with other musician member-based organisations throughout Australia will be asked to encourage uptake of the HEARsmart noise-reduction package in live music venues around Australia. As much of this work is in progress, the final ‘package’ is as yet unknown, but could involve anything from free availability of hearing protection and poster campaigns to encourage use, to venue modifications to reduce reverberation, provision of quieter “chill out” spaces so patrons can take a break, or working with sound engineers to produce music at a safer level, while still being enjoyable to patrons. For more information about HEARsmart™ go to: hearsmart.org.